Arranging car transport to Spain can be a lengthy and complicated process, which is why it's best to research everything you need to do before you go. This article will outline the measures that need to be taken before you leave the UK, how to best arrange car delivery to Spain and finally the registration process once you arrive. If you're not planning to stay in Spain for more than 6 months you can take your own car without the hassle of having to re-register it in Spain. It's important to check with your insurance company that your policy will be valid over there. If it's not, you can buy Spanish insurance for your car while you're out there, but this is not the cheapest option. For the duration of your stay (if you're not planning to re-register the car to Spain) your car must have a current UK tax disk and MOT. It's advisable to carry all your car documents, including your insurance paperwork, with you at all times. If your MOT runs out while you're there, you'll need to get the Spanish equivalent, known as an ITV. Failure to have current insurance, tax and MOT can result in hefty fines. If you are planning to stay in Spain for longer than 6 months, you will be liable for import duties, local Spanish taxes and various fees for registration. Your legal status will automatically become “resident” if you stay for over 182 days. Expect a hefty fine if you've failed to arrange registration in time. The main thing you need to do before you leave the UK, is let the DVLA know of your plans. You'll need to send them your car's registration documents, which they will exchange for a certificate of permanent export. The next step to take is to find a car transporter who will be able to deliver your car for you. Look at all the car transport companies available. Ideally you want an experienced company with highly trained drivers who have travelled your route before. Have a look at review sites and customer testimonials to see what customers are saying about them. You'll find more reviews on their Facebook and twitter pages. Ideally you should source multiple quotes so that you can compare and make the best decision. When you phone the companies to get some quotes, also ask them about their route. If their route is not direct as they are planning to drop off other cars along the way, there's a higher chance of your car getting damaged. You will need to find out the dates, times and locations of the drop off / pick up and delivery. 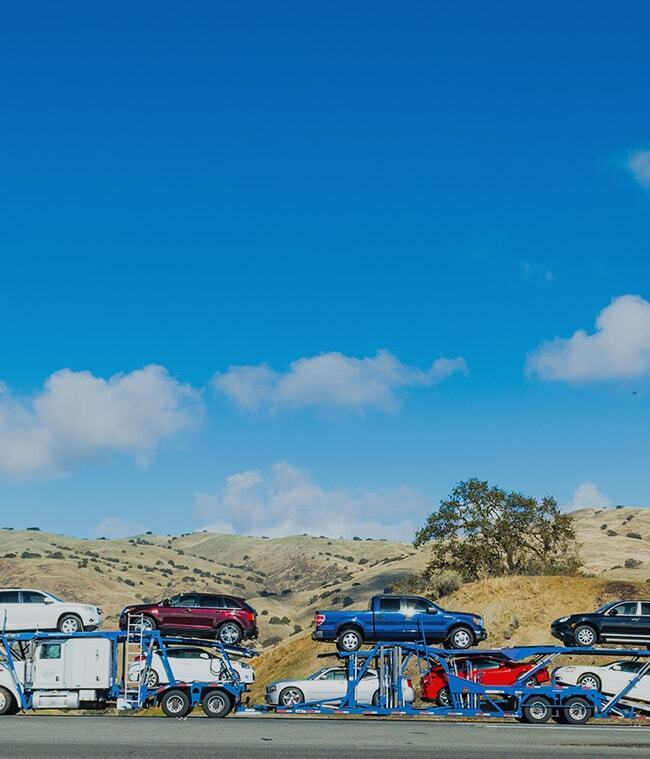 Where will you need to take your car in order for it to be transported? If the car needs to be parked overnight at the company's depot beforehand, can they assure you of the car's safety at all times? Once you make a decision about the company you want to use, get everything in writing, including all the details of pick up and delivery. On the day of the drop off, remove all personal and valuable items, disable the alarm system and give the car a wash so that it is visibly in a good condition. Ideally you want under a quarter of a tank of fuel in the car. Make sure you drive your car just before the drop off and make a note of any imperfections that you know about. This way you'll know if any new imperfections have been caused either to the paintwork, or the engine whilst in transit. The driver should perform a vehicle condition check as well when you drop it off, which you will both sign. Take this paperwork to Spain with you and when the car arrives you must perform a thorough check to ensure you are happy with it's condition before you sign any more paperwork. Once your car delivery to Spain is complete and your vehicle is at your new residence you will need to register it in the country. This is necessary if you're planning to stay longer than 182 days. The process involved is quite complicated and you might hear from other expats that you can put off registration for another 6 months if you take the car out of the country and back to the UK to get tax and an MOT before returning. This is not the case. Your car must be out of Spain for 6 months, in order for it to return and you to avoid Spanish registration for another 6 months. Also you'll have to pay for car transport to Spain all over again. The whole process of taking your car to Spain may seem complicated but there are systems in place to allow you to do. If you're patient and you follow the correct procedure, within the time limit provided, you shouldn't encounter too many problems.